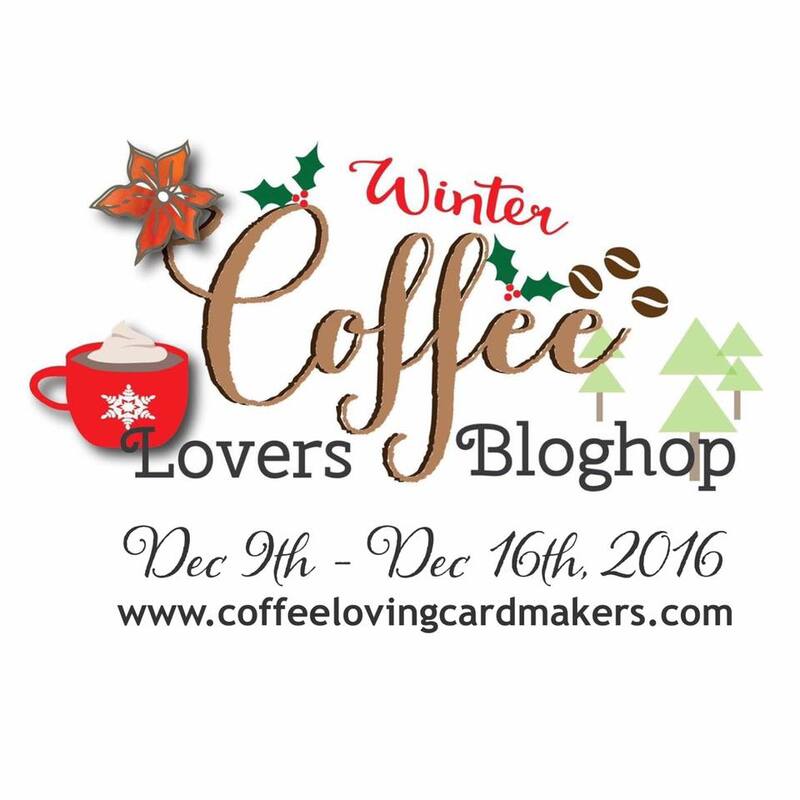 K's Kraftology: Winter Coffee Lovers blog hop! Have you had a chance to participate yet in the Winter Coffee Lovers blog hop? I had my gallbladder removed last week so I haven't been feeling the best. 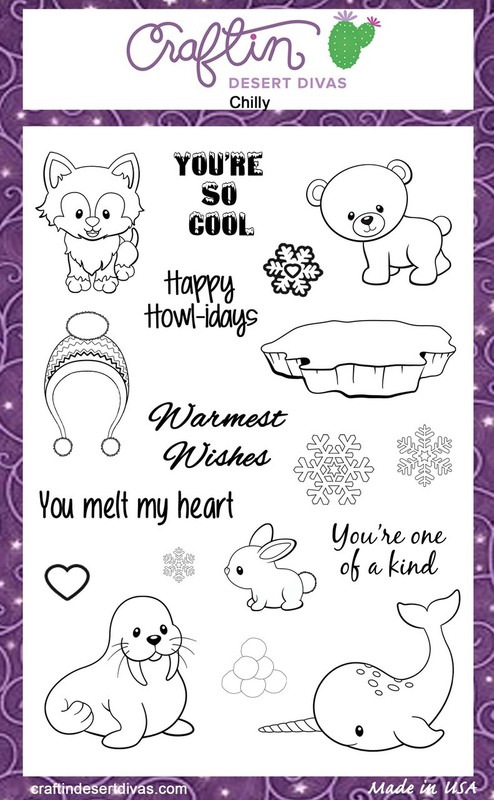 I was able to do a little coloring while I rested and felt well enough today to make some of my items into cards. 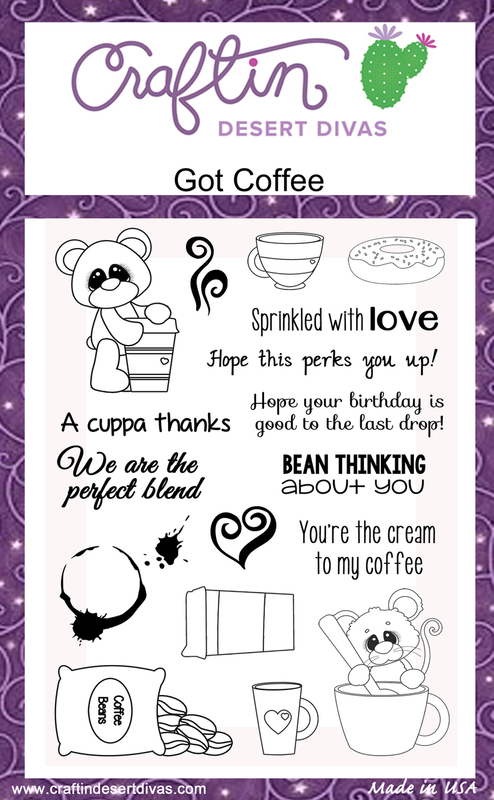 Craftin Desert Divas is one of the sponsors (so many fantastic sponsors) and during the bloghop they are offering Java Fox for free with a code! Just check out the Craftin Desert Divas Gallery group on Facebook. Limited time only!!! This fox is so gosh darn adorable. I know I say that about a lot of their stamps but only because it is true! 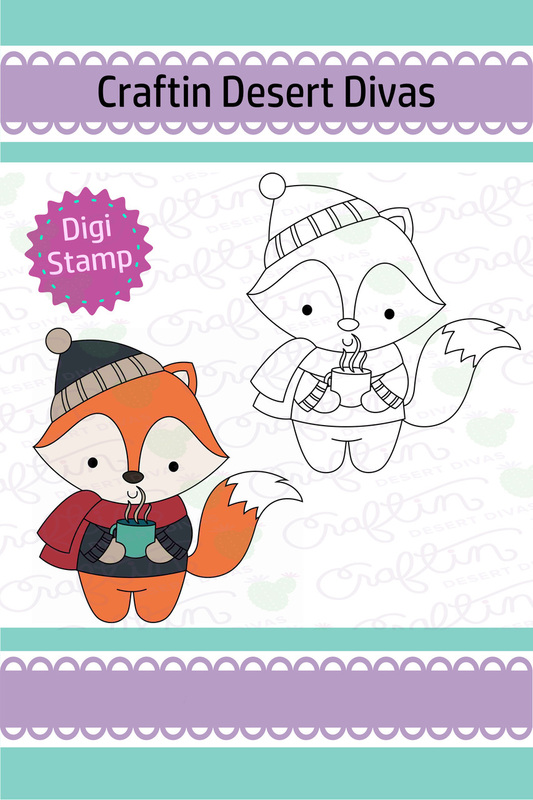 I love the flexibility of changing the size of digital stamp to fit whatever size/shape card I need. Plus I can print it out on a variety of papers! Without further ado...here's my take on Java Fox! 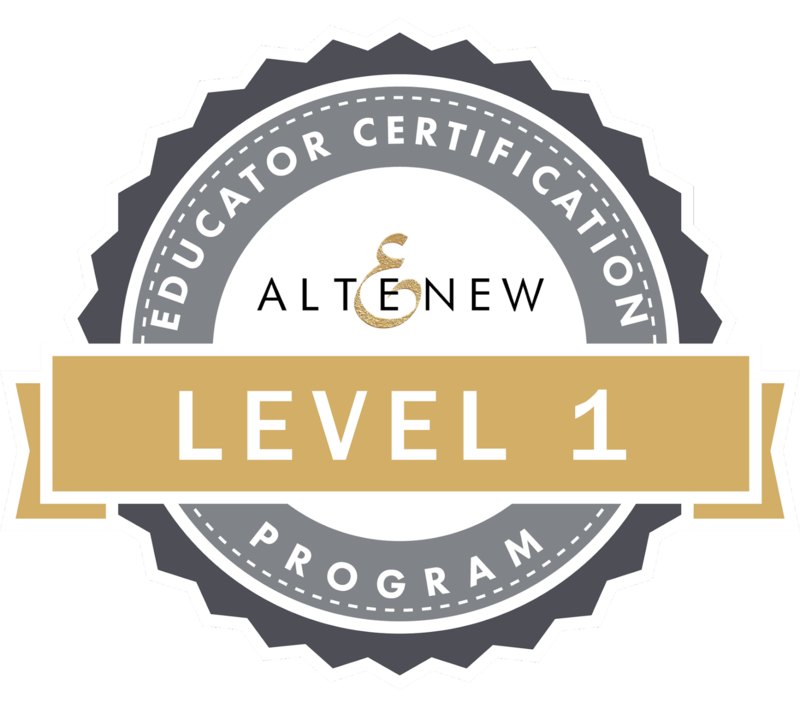 I am just SO very thrilled with how it turned out! 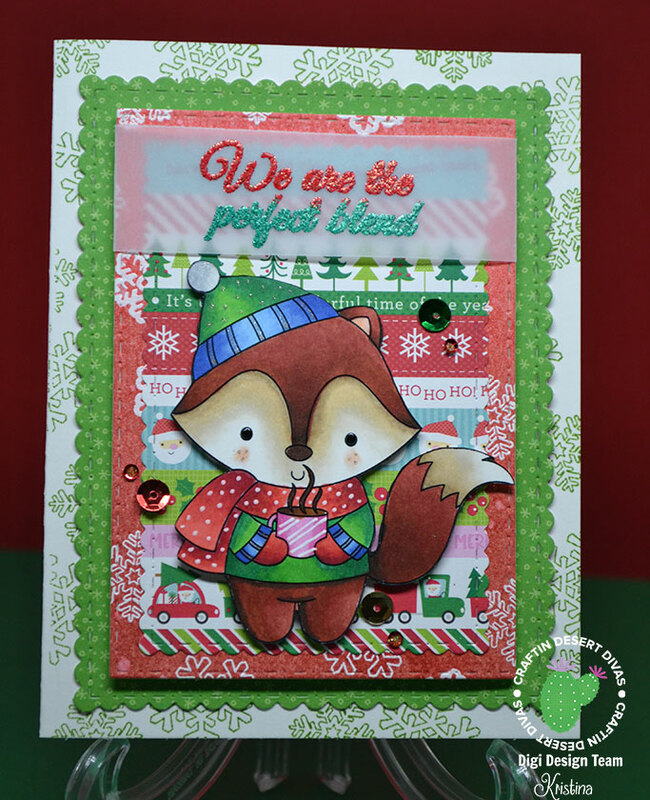 The card base is white and I stamped the snowflakes in green from the Chilly stamp set. 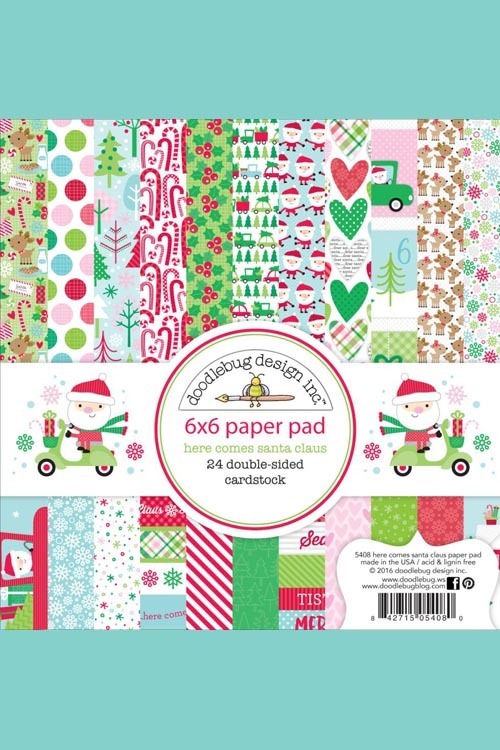 The green print and the stripe print are both from the Doodlebug Here Comes Santa Claus paper pad. The red layer I heat embossed the same snowflakes from the Chilly set in white on watercolor paper. I then sponged on two different shades of red distress inks. The sentiment comes from Got Coffee. I used sparke red and sparkle green embossing powders on vellum which I just cut to size. I wrapped it around and adhered it on the back. 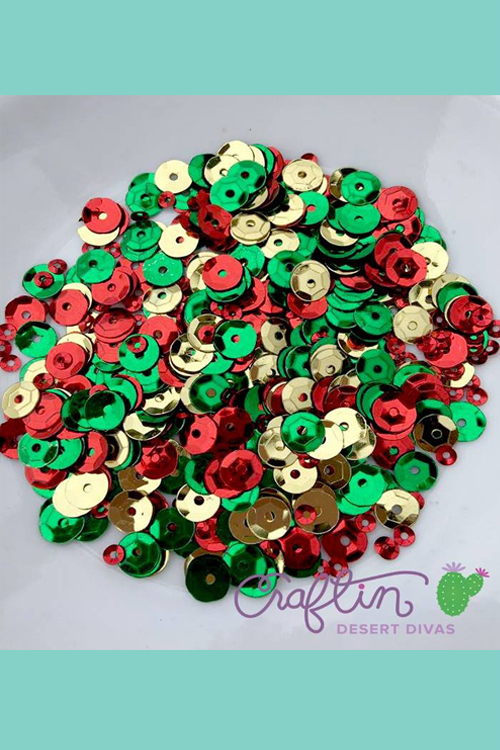 I glued on a few lovely sequins from the Berry Christmas mix. Added some details with a white gel pen, stardust gelly pen and wink of stella. Yep, I have a lot going on here but it's perfect. 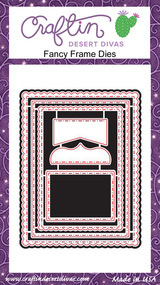 Oh, almost forgot to mentions that all the layers were cut out using the Fancy Frames dies! Super cute and adorable. That fox is dressed so pretty too! So cute and love your fun background. There's that Java Fox again! Oh, so cute!! This is so pretty and adorable - love! OMG, this is cuteness overload!!! This is so very adorable and sweet. I just love this... your fox is adorable and colored beautifully and love your background! Beautiful!